She allegedly hired a group of thugs to set fire to a car carrying her father's suspected mistress without knowing he was in the vehicle too. 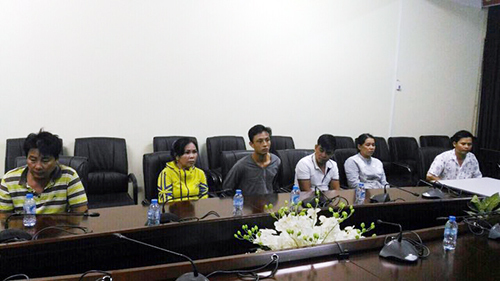 Police in Vietnam have arrested six people in connection with a murder and arson attack two weeks ago which left one person dead and injured two in the southern province of Hau Giang. 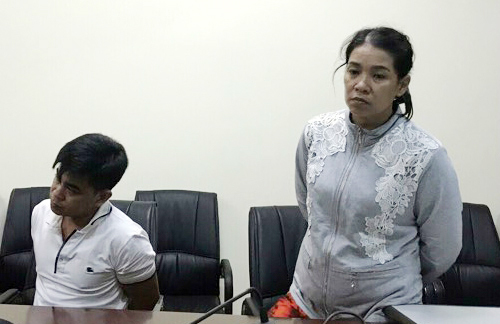 Tran Kieu Trang, 46, allegedly hired the suspects to attack a car that was carrying her father Tran Van Ri, 74, the director of a seafood company in Saigon, and his deputy Vo Thi Chien, 42. The attack eventually resulted in Ri's death. Speaking to the police, Trang claimed she suspected that Chien was having an affair with her father and was planning steal from her family. Unable to dissuade Chien, she asked Ri's personal driver Lai Van Trung, 35, to find someone who could "take care" of her father's mistress for VND300 million ($13,200). Trung then asked Nguyen Quoc Huy, 34, and his gang for help, and planned the attack to resemble a robbery. On October 4, Trung was driving Ri and Chien along National Highway 61C on a business trip when, following Trung's tip-off, Huy's gang stopped the car. The gang then sprayed the passengers with tear gas before stabbing Chien and setting the car on fire. They quickly fled the scene. Both Ri and Chien were severely burned in the attack and were rushed to hospital by some locals, while Trung only suffered minor burns. Ri died from his injuries a week later, while Chien is still receiving treatment for her burns and stab wound. Trang claimed she was unaware that her father was also in the car at the time and would become a victim of the attack, according to Phap Luat TP HCM (HCMC Law) newspaper. Hau Giang police have launched a criminal investigation into the murder and are still looking for other suspects related to the case.